Yale University, 1961. Stanley Milgram designs a psychology experiment in which people think they’re delivering electric shocks to an affable stranger strapped into a chair in another room. Subjects are told it’s about memory, but the experiment is really about conformity, conscience, and free will. Milgram is trying to come to terms with the Holocaust and to test people’s tendency to comply with authority. What would you do? is an underlying question in major Milgram research. 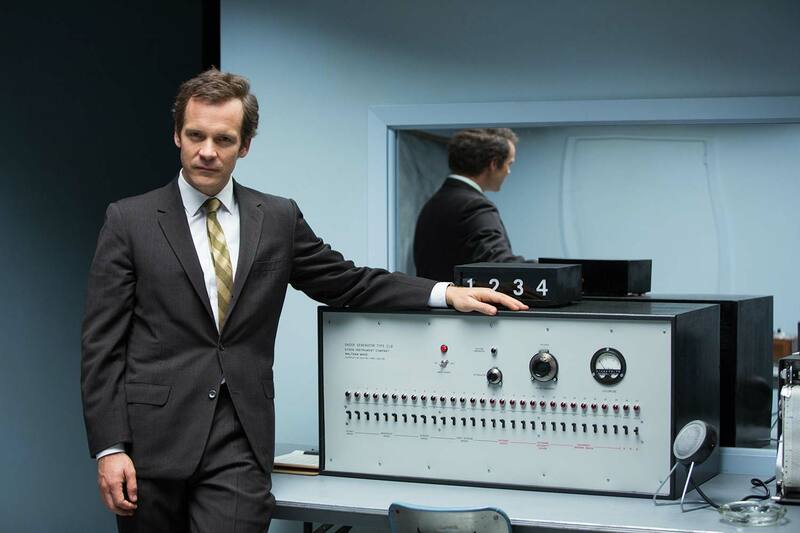 EXPERIMENTER aims to show how Milgram’s conscience and creative spirit continue to be resonant, poignant, and inspirational. Fabio Golombek is an award winning director and producer based in LA for the past 20 years. His latest movie Saving Flora is currently in post production. He is also the executive producer of the award winning show Planeta Brasil. Fabio is a member of the Producers Guild of America PGA, IDA and NALIP. Aimee Schoof and Isen Robbins co-founded Intrinsic Value Films producing more than 30 feature films. The company develops projects through all stages from financing to sales. Intrinsic’s films have been distributed worldwide, won many awards and received numerous nominations. Accolades include winning the Sundance Special Grand Jury prize and nominations at the Gotham and Independent Spirit awards.